Swanton Farm has a lovely farm stand that sells berry jams, strawberry lemonade, strawberry shortcake, chocolate-dipped strawberries, and pretty much any other strawberry delicacy you can dream up. The farm also has a very interesting history, and you know how much I love historical context! According to their website, Swanton was the first organic farm in the U.S. to sign a contract with United Farmworkers of America AFL-CIO and to carry the union label – helping to ensure fair labor practices. 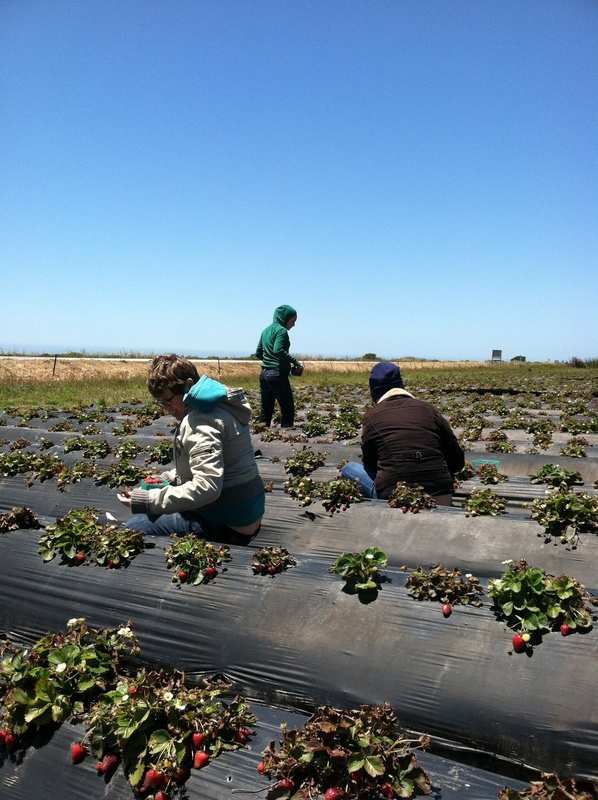 Picking strawberries is very physically demanding, and can be dangerous if the berries are sprayed with pesticides and other chemical agents. While it was fun for an afternoon, I know that many people work incredibly hard so we can buy crates from farmer’s markets and grocery stores closer to home, and I am sincerely thankful. 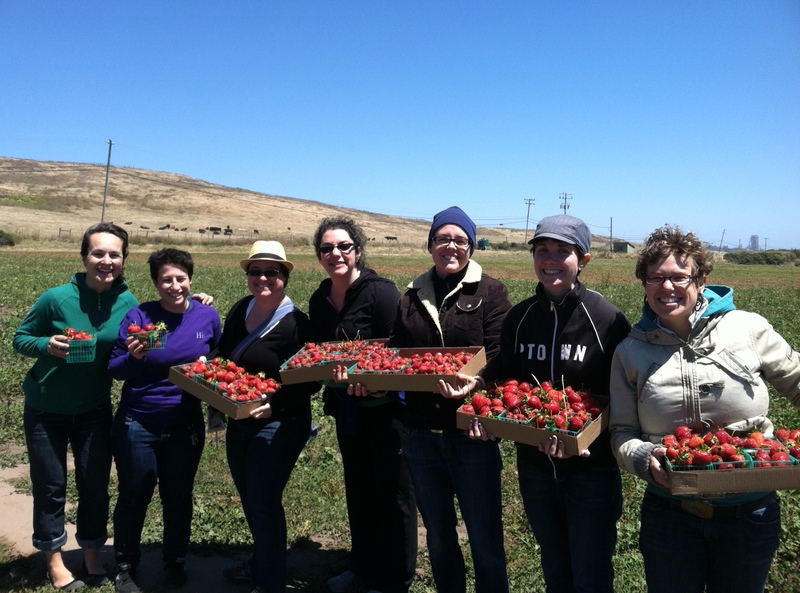 Stay tuned for Field Trip 2012 Part 2 – we’ll be going again in a few weeks to harvest ollalieberries and blackberries. Yum! ← We’re finally on facebook!